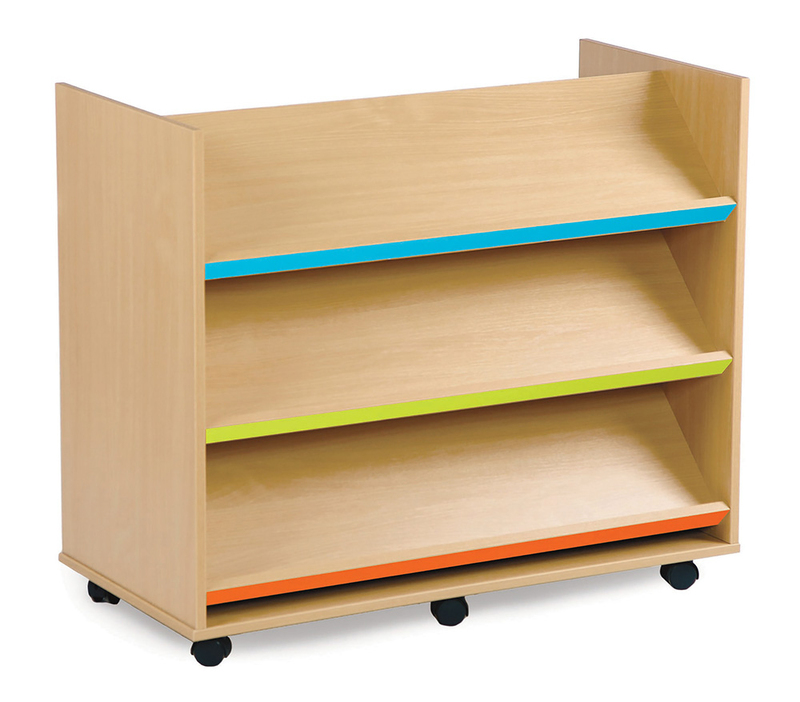 The Bubblegum book trolley is a colourful and creative mobile book storage unit designed to be situated in school libraries, classrooms and reading corners. Carefully constructed from 18mm MFC in a Japanese Ash finish, complete with easy glide castor wheels so transporting the trolley can be done with ease. Each shelf has a coloured edge as shown in the image - a mixture of cyan, lime and tangerine.